It’s becoming more and more common. For example, on February 12, 2010, Comcast will cease to be. In its place will be Xfinity. No, that’s not a typo; that’s the company’s new name. 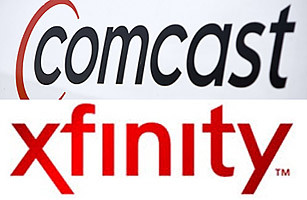 In an attempt to escape years of bad publicity due to poor public relations, poor customer service, bad channel selection, and generally bad business practice, Comcast will ditch their identity and attempt to become something new and different. It won’t work, at least not eventually, but maybe one day people will be complaining about how bad their Xfinity bill is, rather than their Comcast bill. Lots of companies try this; but most of the new names are awful, as you can see by Time’s top 10 worst corporate name changes. Amusing and true is the inclusion of Syfy on this list. The former Sci-Fi Channel wanted a defined name. They were tired of sharing a name with a generic drama, so they got a creative spelling. The network itself has stayed very successful despite this new txt-speak spelling thanks to some great original movies, but that doesn’t make the new brand any less dumb. If anything, Comcast should’ve waited until the NBC merger went through, then they could’ve called themselves Universal Cable, or Universal Entertainment Media, or something related to NBC or Universal. For all its bad publicity recently, NBC is still less damaged than the Comcast brand, and is much less stupid than Xfinity.